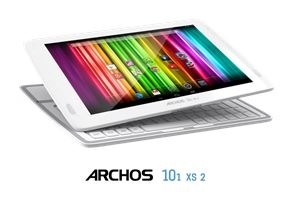 Wow… Archos just went big into Android, they’ve just announced a whole lot of new products coming up. The new tablets have features like quad core CPUs and IPS panels with a resolution up to 2048 x 1536, now that’s a tablet I’d like to get my hands on for sure. They also announced new phones and even kids tablets along with new 3G tablets as well. Interestingly at the very bottom of the PR they also mention a Smart Watch. No releases dates or prices are listed, all of this stuff is just coming soon basically, but I like the looks of this new line of products..
ARCHOS, a pioneer in Android™ devices, announces its tablet and smartphone strategy for year-end 2013. Leveraging its four years of Android expertise, ARCHOS has optimized its product development aiming at offering innovative products based on Android and focused into the mobility segment, from tablets and smartphones to connected objects. “This combination of innovation, value for money and rich product portfolio should allow ARCHOS to further increase its market share in the coming months,” said Loic Poirier, CEO of ARCHOS. The Platinum range – featuring Quad-Core processors, sleek Aluminum design, wireless display technology and IPS screens up to 2048 x 1536 running Android 4.2. 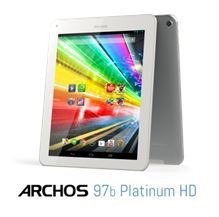 The new Gen11 tablet, the ARCHOS 101xs2, is designed for performance, media playback and productivity. Powered by a quad-core processor with HD IPS screen it also features front-facing dual stereo speakers and ARCHOS’ unique magnetic keyboard functionality. Unique to the new line of themed devices is a home screen application developed by ARCHOS that curates the more than 1 million apps inside of Google Play™. Here each user can discover a selection of apps that best fits the purpose of the tablet making it easier for the end user to find the right content. 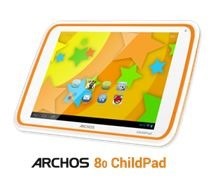 The new ARCHOS ChildPad range features a user interface designed for kids, Google Play filtered for kids, full parental controls and will run Android 4.2. Additionally, this range will feature the 101 Childpad designed to bridge the gap from the digital world of the tablet to content in the real world using magnetic figurines. For gamers, the new ARCHOS GamePad 2 is the perfect combination of Android tablet and gaming console with access to thousands of the latest games. More device details to be released soon. Expanding its deep Android expertise and answering user demand, ARCHOS is moving full speed ahead enhancing its existing line of 3G and 3G + tablets. The new ARCHOS Xenon Range of three tablets will feature HD screens, up to Quad-Core CPUs, and will run Android 4.2 offering 3G connected devices cheaper than Apple or Samsung WiFi tablets. 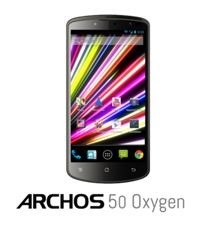 The new ARCHOS Smartphone line will include the Oxygen range, additions to the Platinum range and the Titanium range. All smartphones will feature pure un-skinned Android OS, Google Certification. The flagship smartphone, the ARCHOS 50 oxygen, features a full HD IPS screen, Quad-Core CPU at 1.5 GHz, 16GB storage, Android 4.2 and 13MP back camera and a 5 MP front camera. The Titanium range, starting at 99 Euros with a 4 inch screen, will feature Dual-Core CPUs, Bluetooth, GPS, Dual SIM card slots, Android 4.2, 5MP back cameras and 0.3 MP front cameras. ARCHOS will further detail and unveil this product strategy on their stand at IFA .You can visit ARCHOS at IFA 2013 – Hall 17, Stand 106. 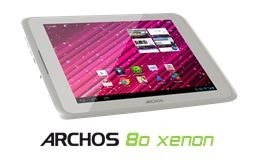 More details will be provided upon each product release at www.archos.com. In the near future, next steps in ARCHOS product strategy will be to enrich its smartphone lineup with the addition of 4G LTE models and to develop a full range of Connected Objects, including a unique Smart Watch concept.